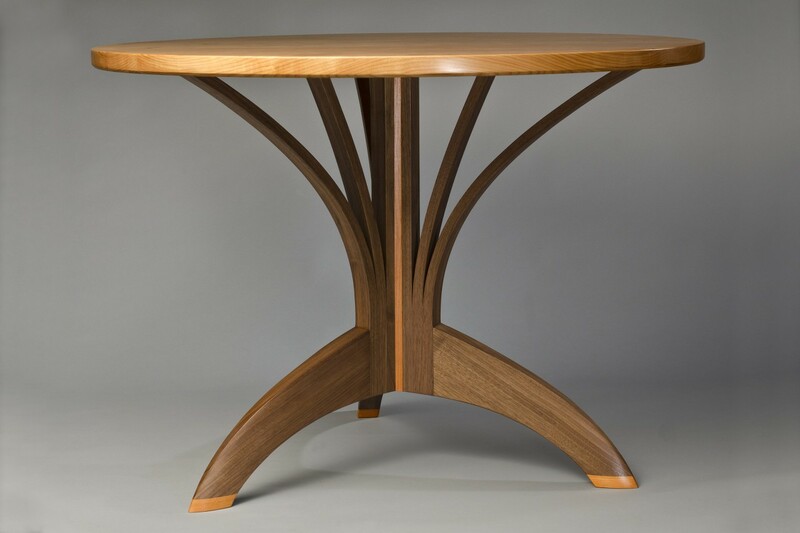 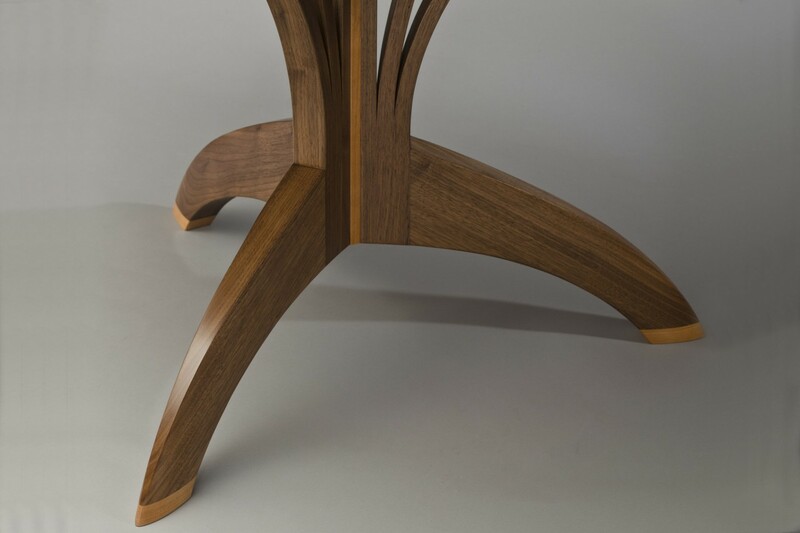 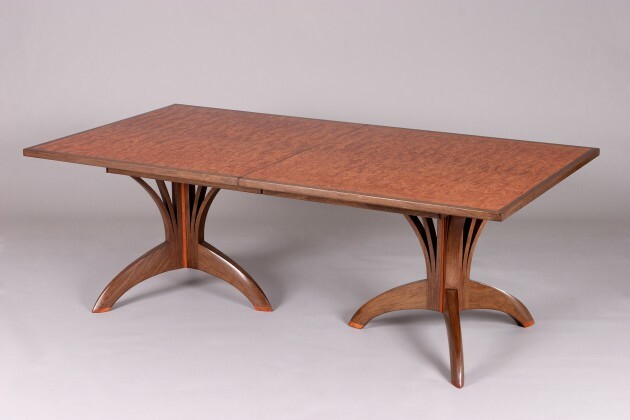 The Arbol Café Table has a tree form base made from walnut with cherry details and a cherry hardwood top. 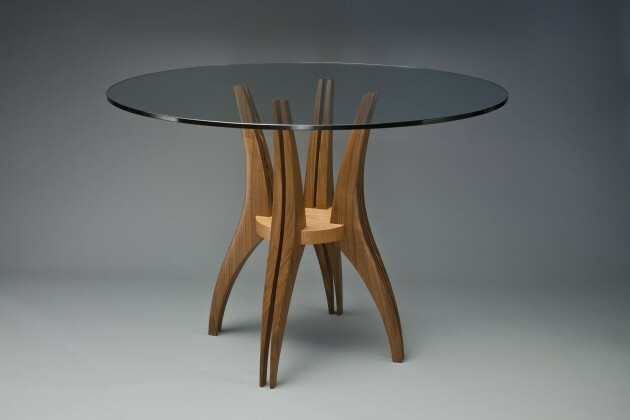 Finished with a durable polyurethane finish, it is ready for years of use. 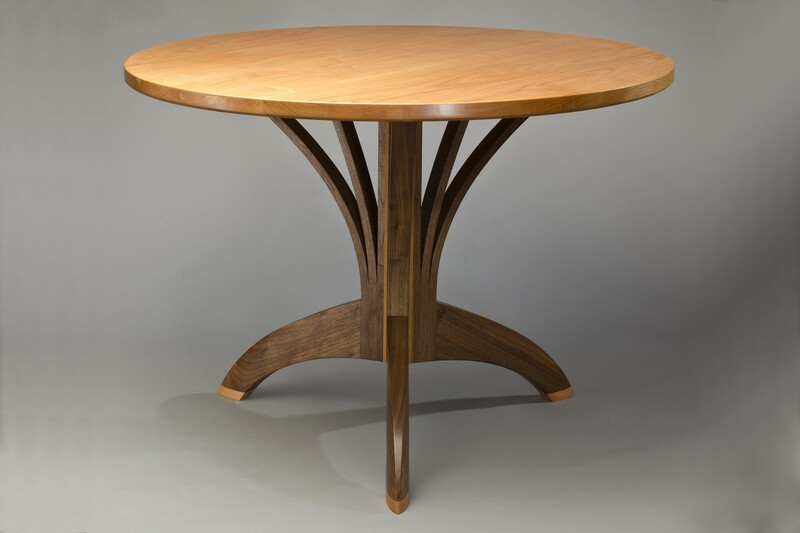 Shown as as round dining table, Arbol is also available as the Smith Dining Table, an expanding rectangular dining table using this style base.